Looking to send my English setter to be trained professionally and wanted a ball park idea on what to expect I will have invested in the dog. Want her to be mainly a hunting dog for released quail but want her trained to field trial standards. any input would be appreciated? Price depends on where you are. Here in NE Washington I pay $800 a month. I paid $650 a month for the first 2 months and got a dog back that was extremely gunshy and birdshy. So make sure you do your homework. These 2 trainers were the 2 recommended trainers. It turns out the cheaper one is a little more heavy handed which did not work out well for my dog. Plan on at least 3 months, possibly longer depending on the trainer and your dog. Good luck. $700 a month for a great trainer here in Missouri. Three months is a good time frame unless you do a lot of the prep work. Did y'all's dogs retain what they learned with the trainer when u got them out in actual hunting conditions? Southern_Point wrote: Did y'all's dogs retain what they learned with the trainer when u got them out in actual hunting conditions? The only way they do that is if YOU learn along with the dog & the Trainer. If YOU keep consistent with the training the dog has been through, then you as a team should be good. Otherwise, you are wasting your $, time, & effort. Jon is great and takes the time to train you before sending the dog home. 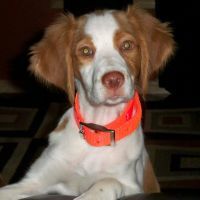 Southern_Point wrote: Looking to send my English setter to be trained professionally and wanted a ball park idea on what to expect I will have invested in the dog. 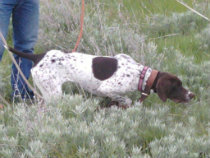 Want her to be mainly a hunting dog for released quail but want her trained to field trial standards. any input would be appreciated? I am from alabama but will send my dog to ray Dohse in Georgia are the plans right now.